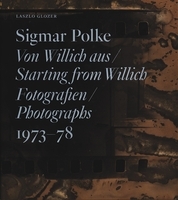 Paperback, 8.25 x 10.75 in. / 200 pgs / 299 color / 27 bw. Edited by Margit Rowell. Essays by Bice Curiger, Michael Semff and Margit Rowell. 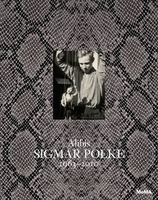 One of the most significant artists of his generation, Sigmar Polke came of age creatively in Dusseldorf around 1963. His earliest work was crude and humorous, its images outrageous, and its content seemingly trivial, but embedded in these works were subversive and parodic commentaries on consumer society, German postwar politics and classic artistic conventions. 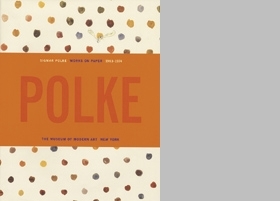 Few of Polke's works demonstrate more vividly his imagination, sardonic wit and eclectic creative process than the drawings, watercolors and gouaches of the 1960s and early 70s. 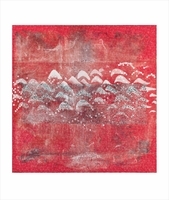 More than 300 works are illustrated, including small sketches in ballpoint and felt-tipped pen, larger sheets in watercolor and gouache and still others stamped with a dot screen process, as well as pages from over a dozen small sketchbooks and several monumental works on paper. 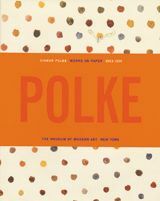 This book was published to accopany the first American exhibition of these drawings shown at The Museum of Modern Art, New York in 1999. Foreword by Julia Rust, Claudia Olbricht, Thomas Olbricht. Text by Tereza de Arruda. Foreword by Vicente Todolí. Contributions by Katharina Schmidt. 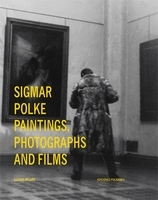 FORMAT: Paperback, 8.25 x 10.75 in. / 200 pgs / 299 color / 27 b&w.